There are, at the moment, approximately 200 million users on Twitter. I follow about 700 of them. That’s a pretty small fraction, really, and even smaller when you consider the fact that I scroll past a great chunk of those users every day on my timeline without a second glance. I’ve been fortunate, however, to make some pretty amazing friends thank to this social networking site, and it’s given me opportunities (to blog, to connect, etc.) that I would have never dreamt were possible. And then, there are celebrities. Because of Twitter, you and I are 140 characters away from our favorite actors, writers, producers, athletes, and directors. There are a lot of celebrities that are on Twitter, but my absolute favorite of them all is Joel McHale. And since today is his 42nd birthday, I thought it only appropriate that I celebrate him with a little blog post. The truth, as I said, is that there are a lot of celebrities on Twitter. 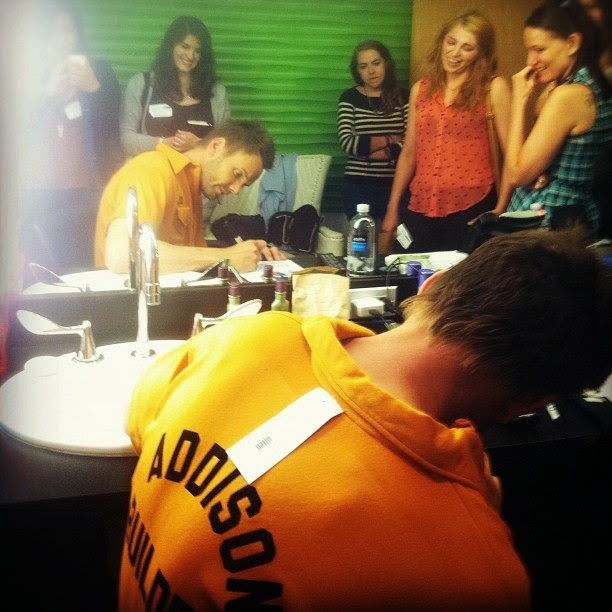 They use their status to garner followers to boost their ticket sales or viewership or record sales. But Joel has always stood out to me, above them all, as someone who genuinely cares about his fans – about the people who watch The Soup, who stand outside and perform flashmobs to rally for Community – and will do anything for them. So really, this is as much a thank-you post as it is a birthday post. 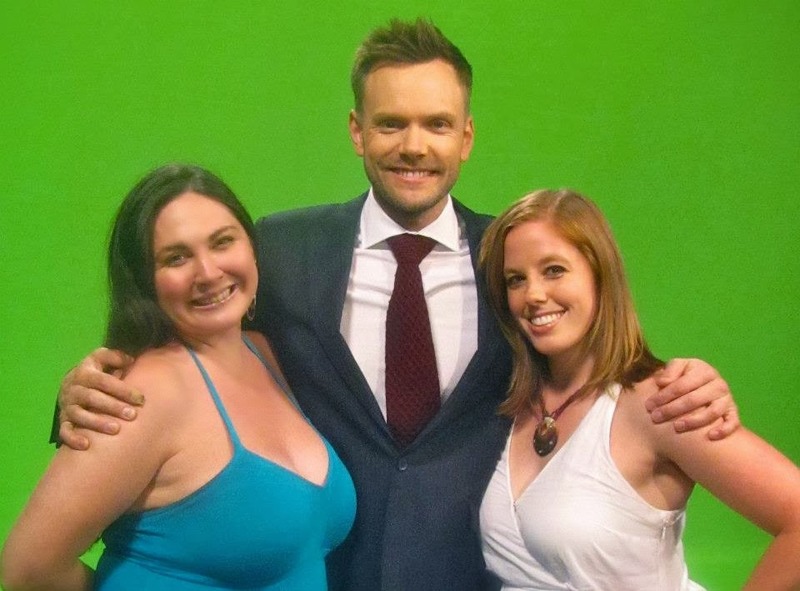 Because this year, Joel McHale gave us Community fans a pretty amazing present. I figured that I should attempt to return, albeit very slightly, the favor. Joel is the reason that Dan Harmon has been reinstated as showrunner for Community’s fifth season. Though I have yet to truly hear an interview or article in which the actor claims credit for the idea, the cast and crew – and Harmon himself – have talked about and praised Joel for insisting that the network bring Dan Harmon back as showrunner. It’s something straight out of Community, really: Joel (Jeff Winger) rallies his friends together to fight for something he cares about. But I’ve realized, over the course of a few years, that this is seemingly who Joel is as a person. Though traditionally Yvette Nicole Brown is the sweet-worded, compliment-giving, kind-hearted cast member during panels and interviews about Community and Joel the snarky one, I’ve realized something: Joel loves and cherishes the Community fans just as much as Yvette or any other cast member does. I’ve never met Joel in person. 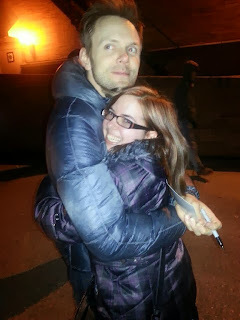 My amazingly wonderful friend Jaime has been fortunate enough to meet him several times. At one show in Pittsburgh, she mentioned my name and he recognized me as the girl who asks him to do a show in Florida (so that, folks, is my legacy). Over the last few years on Twitter, Joel has been known to DM a lot of us, and I’ve been fortunate enough to have been on the receiving end of those DMs quite a number of times. It’s something insignificant and trivial, really: who cares if you get a direct message on a social networking site from a celebrity that consists of a word or a few words? Really, DMs shouldn’t be a huge deal. But they ARE, because it means that Joel takes the time (what little precious free time he actually has to be on his phone) to read his mentions and then reply to people. To fans. To US. Sure, it may seem superficial to feel a sense of glee over receiving a message from a celebrity, but to know that this person – Joel – isn’t just a celebrity but a real, genuine person… well, that makes all the difference. Joel knows me as the girl who asks him to do shows in Florida (… but seriously, Joel, feel free to swing by Orlando any time. You are always more than welcome in the Sunshine State! ), and my friends made a name for themselves – and a memory as well – when they attended one of his stand-up shows in New York City. A few of us had planned something special for him, because the Emmys were and are absurd and fail to recognize Community as a series and Joel as Lead Actor each year. So we gathered together some of our close friends and everyone wrote a message – something either thanking him, making a joke, or otherwise – and my darling friend and cohort Kim printed these messages out onto tags. She then tied these to a plastic “Most Handsome Young Man” trophy (a nod to an episode of Community) and presented it to Joel after the show. Joel sticks around for photos to ensure that everyone who wants one gets one when he films The Soup or does stand-up shows. He somehow miraculously balances Community, The Soup, his stand-up, his wife and kids, and movies, too. And he does it all while being genuinely and positively grateful. Joel has every right to be one of those celebrities who brushes off fans. He’s an insanely busy guy – he has places to be and nearly as many jobs as Ryan Seacrest does (though, admittedly, Joel’s got about ten feet of height on Ryan). But even though Joel could be dismissive of fans because of his schedule, he’s not. I’ve learned throughout my life that there are people who say that they are thankful for their accolades and successes, for the people who are placed into their paths, and for the opportunities they’ve been given. There are a plethora of these people, the ones who sing the praises of others. But then there are the people who are thankful and who DEMONSTRATE that. 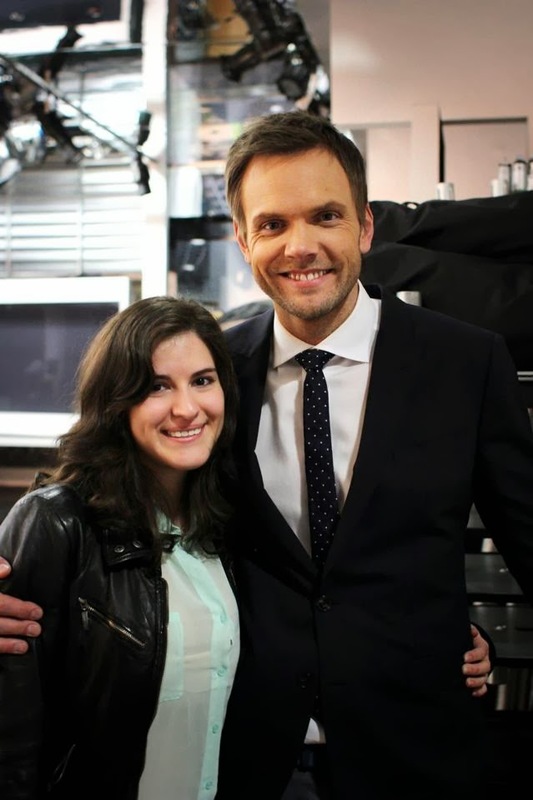 Joel McHale has always been one of those people. He’s snarky and witty; he’s sassy and clever. But he’s always grateful and humbled to be where he is. I don’t know what I can possibly do, as a Community fan, to show MY gratitude. For the way he respects and cares about his fans. For the way he fought to get Harmon back. For the way he remained positive in spite of Chevy’s antics and Donald leaving and new showrunners coming in to run something so beloved to so many people (including him). For being so considerate to my own friends – to people like Jaime and Kim and Sage and Michelle and Mary and Julieta and the Shannons and Audrey and Nadia – who have met him in person. For conversing with us (especially me) on social media. For being an example to Hollywood of what it means to be a husband and a father and an actor. For being hilarious always and genuinely serious when situations necessitate it. Happy birthday! Thanks for saving Community by getting our Dan back, and for being our guide through the hellscape that is The Kardashians. Happy Birthday Joel! Since I spent my birthday with you at a taping of The Soup Investigates (4 person audience) if you need any company on your birthday to help round out the numbers, feel free to extend an invite :) Have a great birthday!! My love for you started with Community, but then the more I watched and read your interviews, I realized that you are actually one of the greatest people I've ever seen. I still can't believe you are real so my biggest dream is to meet you so I can hug you and see how amazing you are in person. Happy Birthday, Joel. Always stay this kind and amazing! 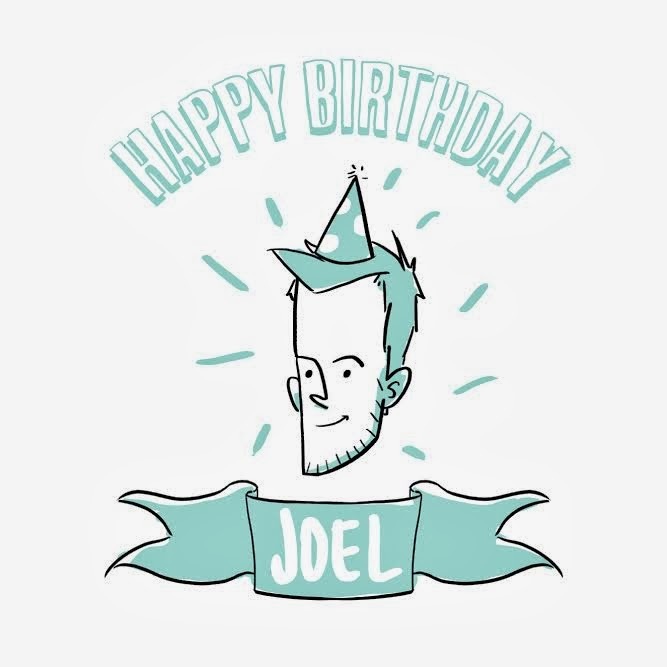 Happy Birthday, Joel, and may it be filled with many skinny ties! Happy birthday Joel! Thanks for meeting with all of us after The Soup taping this summer; we all really appreciated it! I hope you have a great expulsion day! Joel, thank you for playing such a huge part in one of the greatest shows ever made. It's had such a massive impact on my life and I'd just like to thank you for it. However, you could've given Aunt May the toaster! Happy Birthday! Joel, I've had the pleasure of meeting you a few times, and you're one of the most genuine, appreciative people I've ever met. Your love for your fans is so obvious, which makes it easy for them to, like, say weird things about your face on Twitter and stuff. Happy birthday, Joel! I promise, there'll be some weird stuff about your face on Twitter to celebrate. 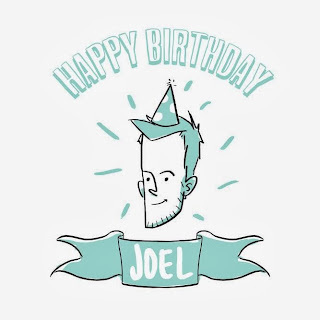 And even though I’ve written this entire post to wish you a happy birthday and heap praise upon you, I have to conclude by saying – again – thank you so much for all you’ve done, Joel. I really and truly mean it. Now… go eat some birthday cake.